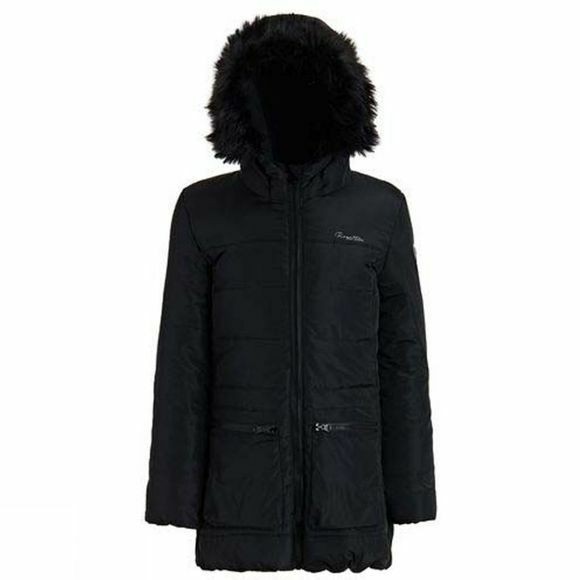 The girls' Berryhill Coat from Regatta is made from high-shine showerproof fabric lightly quilted with warming Thermoguard insulation. 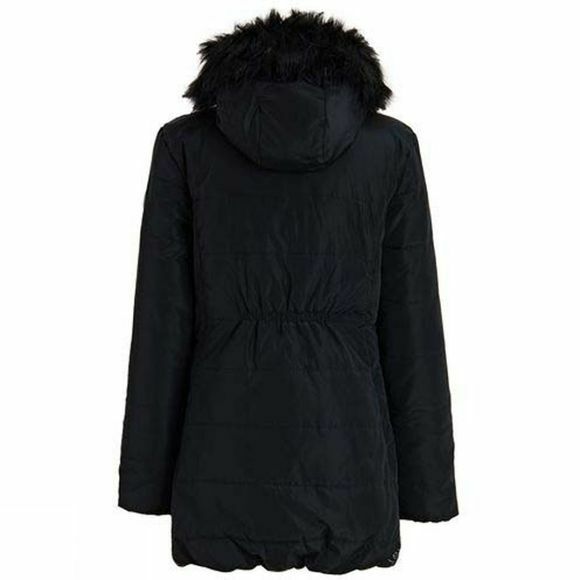 Cut long-length with curved seams, a snuggly hood trimmed with fine-quality faux-fur and zipped lower pockets. With reflective trim and the Regatta Outdoors badge on the left chest.